Mr. Chester Merritt Service Details - Belleville, Illinois | Serenity Memorial Chapel LLC. 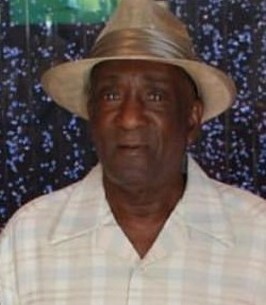 Obituary for Mr. Chester Merritt Sr.
Mr. Chester Merritt, Sr. He leaves to cherish his loving memory five daughters, Bridget (Keith) Dabney of Richmond, VA, O’Hala Riddle of Shiloh, IL, Patricia (Ryan) Robinson of Clarksville, TN, Dr. Jennifer (Obafemi) Elegbede of Charlotte, MI, Christine Graham of West Palm Beach, FL; four sons, Derrick (Wanda) Merritt of Chicago, IL, LaHarma Merritt of St. Louis, Mo, Nickole Merritt of Shiloh, IL, Chester (Charay) Merritt Jr. of Hopkinsville, KY; a host of grandchildren, great grandchildren; one great great-grandchild; special cousin, Lovester Agnew of East Carondelet, IL; ex-wife, Annie Merritt; along with other relatives and friends. 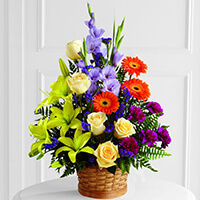 To send flowers to the family of Mr. Chester Merritt Sr., please visit our Heartfelt Sympathies Store. We encourage you to share any memorable photos or stories about Mr. Chester. All tributes placed on and purchased through this memorial website will remain on in perpetuity for future generations. Jennifer, Prayers for you and your family. Deepest sympathies during this time. We are sending heart-felt prayers for peace and strength.